My name is Dusty Showers, owner of Creepy Creatures Termite and Pest Control here in Palm Harbor. We are Palm Harbor’s first choice in pest and termite control. It may sound a bit bold, but I can tell you that if you do not have termite protection, you will get termites. No, that is not a sales pitch, it is just a fact. Just as, if you do not change your oil in your car, you engine will seize up. But no one ever says (except for your crazy Uncle Larry that is not right anyway, hence the “Crazy” part). Just like your car, it is WAY cheaper to protect your home BEFORE you have an issue. Like the old saying, an ounce of prevention goes a long way. Well, it’s could not be more true when dealing with subterranean termites in Palm Harbor. It’s true that you can roll the dice and maybe hope that you will not ever get termites but stats show that you are a big time gambler. In fact, it is even possible that you could have termites as you read this. Many people believe that having a termite inspection once a year or so means that you are safe. In fact, I hear from people all the time something like “I’m fine, we just had a termite inspection last year.” But do you want to risk you largest investment to a shaky termite inspection? But the truth is that is termite inspection only shows about the inspector about 30% of the home and that is if the inspector is thorough. Almost every if not every termite company in and around Palm Harbor will offer “Free Termite Inspections”. No, it is not because we trying to be nice. Many, if not most termite inspectors loathe actual termite inspections. They see the termite inspection as a necessary thing they need to do in order to try to sell you termite prevention. Sure, they look for termites but they already know they will be pitching you a termite service whether or not they find anything. If they find termites it just makes the sale easier but really, they are there to sell you termite prevention, not ease your mind telling you that you do not have termites and you are good for another year. Termites hide. They hide very well and when you do an inspection, you cannot see behind many walls. You cannot see all areas of the attic. They can hide behind wallpaper and they can hide behind cabinets. Even with hi-tech equipment and termite sniffing dogs you can have termite inspections all day long and they can miss the fact that you have termites. But this is not anything nefarious. A pest control company SHOULD offer have termite prevention, whether or not you have termites, not matter whether or not they find termites during an inspection. I believe a pest control company is doing you a disservice and putting you at high risk if they provide an inspection and leaves you believing that “you are good” since he didn’t find anything. For years we have provided Termidor liquid treatment. Termidor was “the silver bullet” when it came out. When applied properly, it is 100% in killing termites. In fact, we still treat homes in the Palm Harbor Area with Termidor. The downside with Termidor termite treatments is it is very labor intensive, requires heavy equipment. BASF is the company that came out with Termidor. 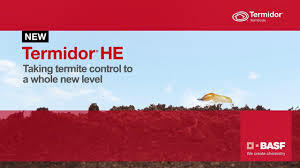 Termidor was a total game changer for termites. 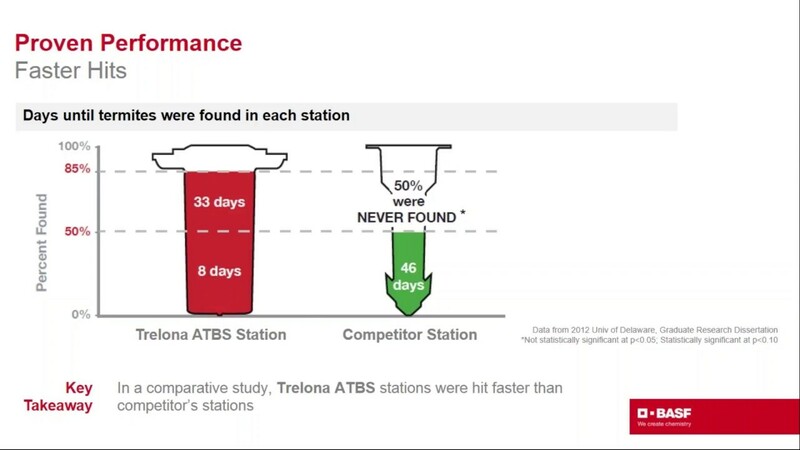 And now they did it again with Trelona. I was never one for subterranean termite baiting systems. First, they are only as good as the person checking them and second, I have seen too many failures ending up with homes being eaten by termites. Trelona makes me smile 🙂 It is simple to install, only needs to be checked once a year and even if it is neglected, it will continue to work. It does not require heavy equipment and it is not likely you will have to have drill holes all over your home. And the most important thing..your home is 100% protected against subterranean termites! I’ve been in this game for 30 years. I’ve watched baiting systems hit the markets over and over. The first one was the big green one starting with “S”. And I have seen it fail over and over and over. I know they have improved over the years but when it comes to subterranean termites you do not want to be “pretty sure you are protected”. You want to be 100% sure you are protected-and that is where Termidor and Trelona come in. Call or Text Today for a FREE Termite Consultation 727-488-5657! 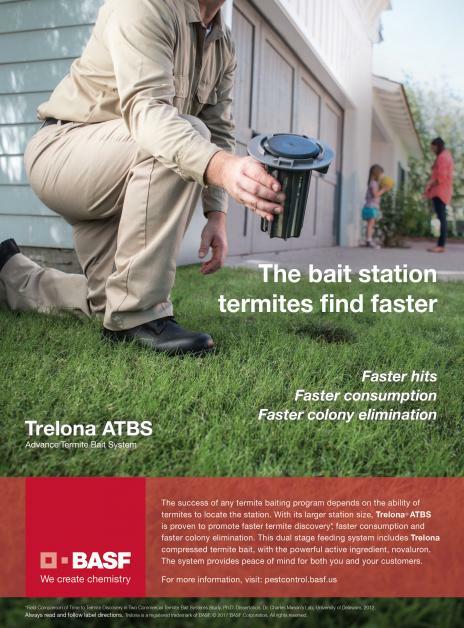 Find out all the details about Trelona subterranean termite baiting system and click on the image! I know there are some people around Palm Harbor that have had subterranean termites before…maybe even two or more times. If you are one of those people and you want to be super, extra sure that you will never get subterranean termites-we have just the program for you! 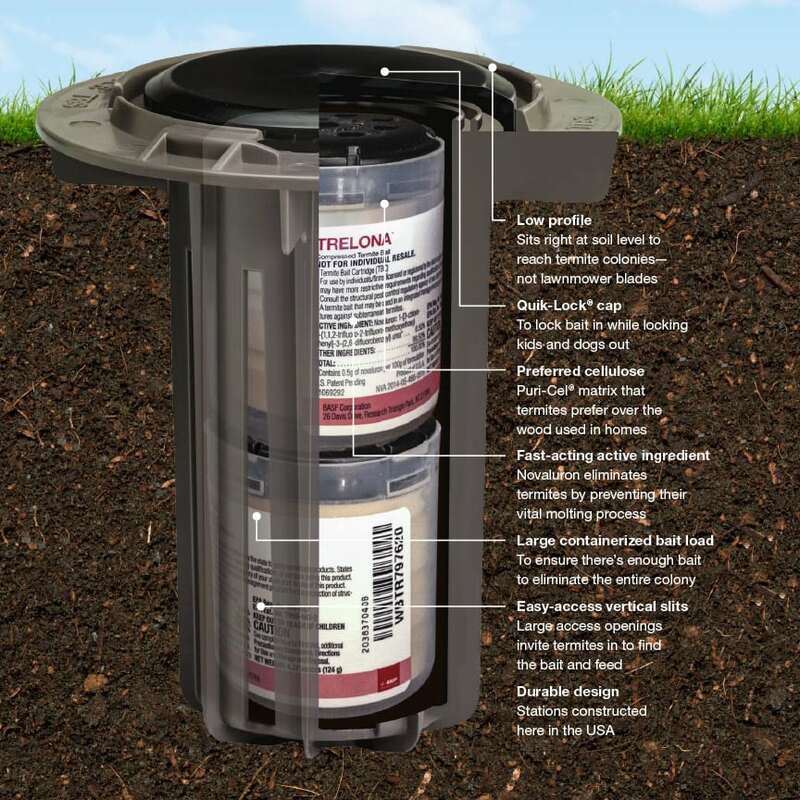 For those homeowners that love to sleep knowing that there is no way subterranean termites are eating their home, we offer Trelona subterranean termite baiting AND a Termidor wrap. What this means is that have a termite baiting system that attracts…and kills any termite colony around your home. THEN we go one step further and install a Termidor liquid treatment into the ground with a TEN year warranty! I realize, this is not for everyone. But if you are someone that understands the value of insurance and you understand the power of termites…and you are someone that likes the finer things in life…Trelona with a Termidor wrap is the program for you. We will come out to your home, conduct an inspection and offer you a FREE consultation on how to protect your home from subterranean termites. Call or Text Today at 727-488-5657. 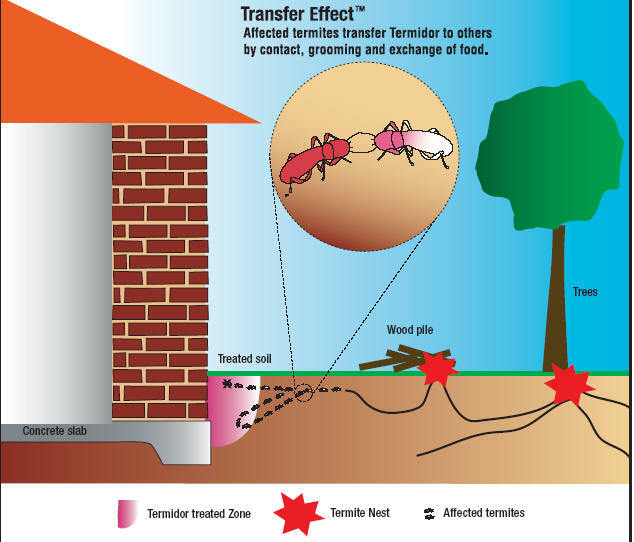 Termidor subterranean termite protection is 100% effective. Click for info! Yes, you can get cheap termite “protection” but why would you? The National Pest Management Association (NPMA), estimates that termitescause more than $5 billion in property damage each year. Do you want to risk your home to subterranean termites? Termidor is “non-repellent” and works with a “transfer effect”.